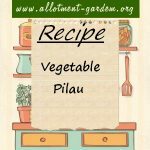 Recipe for Vegetable Pilau. A lightly-spiced vegetable pilau that makes a delicious, low-calorie one-pot meal. Serves 4 - 6. Recipe for Vegetable and Red Bean Pilau. A deliciously different, low-calorie one-pot meal. Serve garnished with coriander leaves. Recipe for Vegetable Pasty. Makes 4 and can be served hot or cold. Depending how you make the pastry, this recipe is suitable for vegetarians. Recipe for Masfouf - Couscous with Broad Beans and Peas. Serve hot in a shallow dish or plate with a glass of Raib to accompany the meal. Recipe for Spaghetti Cheese. Uses a selection of vegetables and tomato chutney which, if you make your own, will taste even better. Serves 2. Recipe for Simple Fried Rice - a quick, easy and filling dish. You can vary the recipe by adding, for example, prawns, leftover cold pork or ham. Recipe for Green Pea Soup. Best with fresh English peas when they are in season as the pods make a huge difference but can be made with frozen. 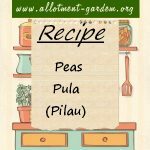 Recipe for Pea Soup using Dried Peas. Pea soup is very comforting, sweet and delicious. Made with marrowfat dried peas that are grown especially for drying. Recipe for Pease Pudding. Especially good with boiled ham and roast pork. Serves 4. Recipe for Stewed Peas with Onion and Garlic. 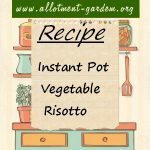 A simple and light side dish, good with roast or sauté potatoes and grilled or roast meat. 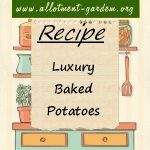 Recipe for Luxury Baked Potatoes. You can also mix the peas and chives into the mashed potato mix instead if you want. Serves 4. Recipe for Vegetable Platter. Serve immediately with crusty bread to mob up the sauce. Serves 4. Recipe for Cheese and Vegetable Yorkshire Pudding. 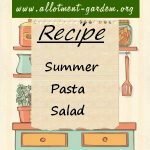 A delicious side dish that goes well with Baked Tomatoes. Serves 4. Recipe for Egg and Vegetable Pie. A really tasty, quick and healthy dinner with a goodly portion of spinach. Serves 4. 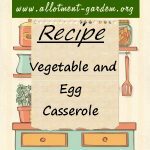 Recipe for Vegetable and Egg Casserole. Use up some bits and bobs of cooked vegetables in this filling casserole dish. Serves 4. Recipe for Curry Relish. Strangely this doesn't work well with curry but it really brightens sausages up. Makes about 3 lbs (1.4 kg) of relish. Recipe for Minestrone (Italian Vegetable) Soup. Sufficient for 4 to 5 servings. A truly delicious soup. Double up on the quantities and freeze. Recipe for Stir Fried Vegetables. A selection of vegetables can be chosen in proportions to how many are eating. Serve with rice or boiled or fried noodles.